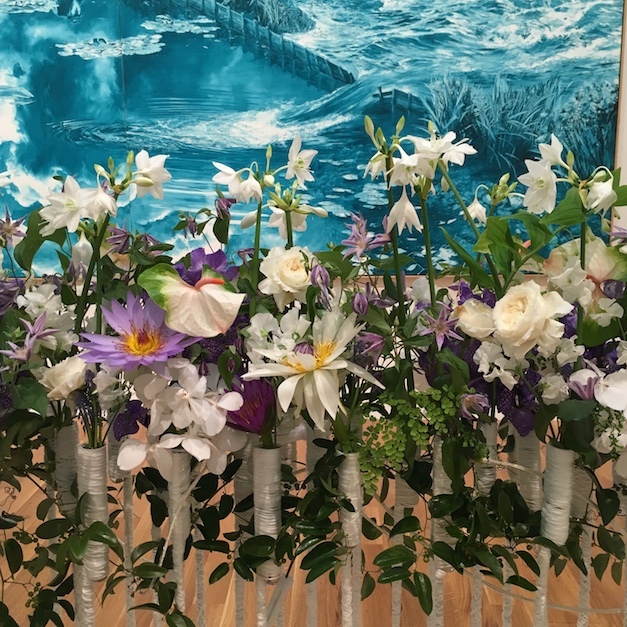 During Columbus Museum of Art’s biennial Art in Bloom, April 26-29, 2018, floral designers bring the galleries to life reinterpretting art through flowers. 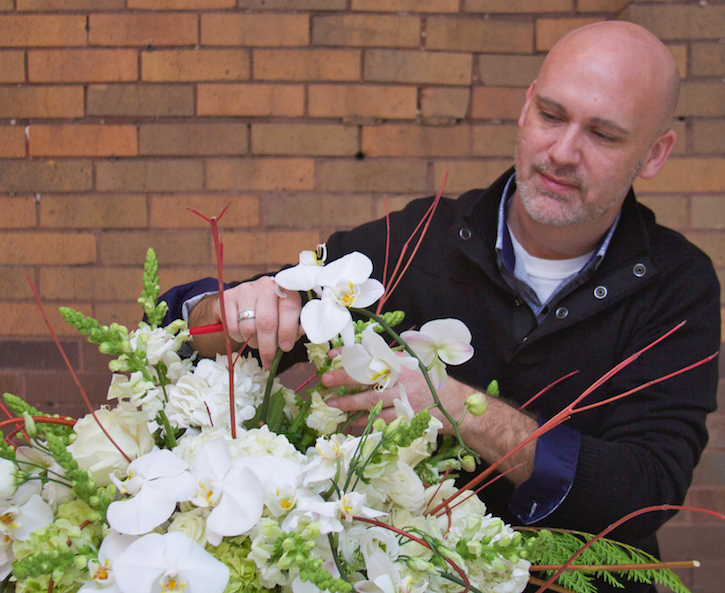 We sat down with Brian Coovert CFD, Emc of Brian Coovert Floral Design to talk flowers, art, and how exactly you go about interpreting art masterpieces with flowers. What was the moment when you knew you wanted to work in floral design? I grew up in rural, southern Ohio and on a farm, so horticulture and nature have always been in my DNA. But it wasn’t until I was living in Charleston, SC that I really experienced floral design. At that time, I was working for a large department store, and we used fresh flowers for every trunk show, cosmetic launch, or party that we had. I became close friends with the florist that we used, and before I knew it, I was spending all of my time off in his tiny studio learning what I could. It wasn’t long before I quit my corporate job, and went to work for him. I started off washing buckets, processing flowers and sweeping the floor. I was a true apprentice. 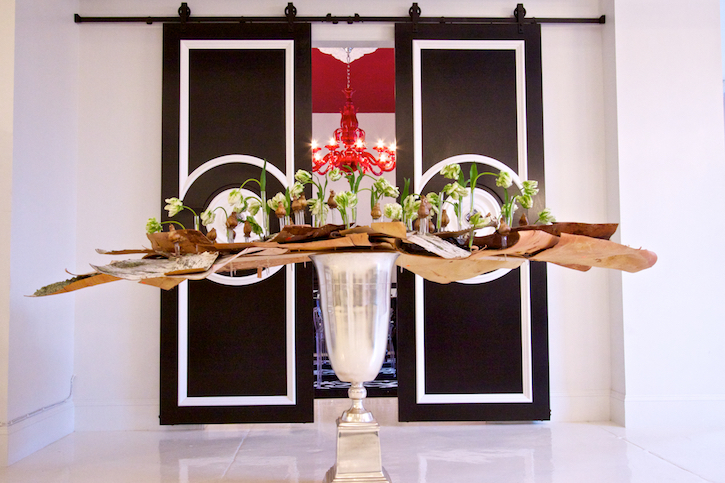 Art in Bloom is unique in that you use artwork to inspire your design. Can you tell us about your process of interpreting art with flowers? I begin with emotion. What is the feeling the piece of art work gives me? What is the artist trying to tell me? Now, how can I interpret this through flowers and natural elements? Knowing the nomenclature of flowers and foliages is helpful. Flowers evoke different emotions and feelings, therefore, that must be kept in mind, and is helpful when interpreting a design. Color is the next most important aspect, and probably the easiest. People react to color differently, however it is the most crucial element when translating, and it is the easiest to understand. I then ask myself, “how can I do this differently than anyone else?” Whether that be through mechanics, design skills, materials, etc. I want to give the viewer an experience they have never had before. I find inspiration everywhere. In regular places like regular people, it could be architecture, fashion, magazines, interior design, etc. However, may main drawl is through Mother Nature. It could be the curve of a tree branch, the pattern of veins on a leaf, the natural erosion of a creek bed. Mother Nature is truly remarkable and makes no mistakes. We can all learn a great deal from her. What’s it like to do floral designs for movies? It’s a fun and sometimes stressful experience, and really just depends on the movie or program. With regular TV, you are made aware of the size, shape, color and location of the floral arrangements needed and that’s pretty easy. Movies can be a bit more difficult. For example, on the set of “Cold Mountain” I was asked to re-create an English style High Tea. Everything had to be researched. Flowers, linens, china and any materials else used had to be from that period. I was in Charleston SC at the time, and luckily there were plenty of these items readily available but it still required the research and collaboration with the set designer. What is truly amazing is that something which takes weeks, sometimes months to create will either get cut from the movie, or have a 3 -minute screen time, but it is still exciting and rewarding. What’s one creative trick that you’ve picked up throughout the years that you’d be willing to reveal to those new to floral design? I’ll give you three. Education, Education, Education. Be a sponge and soak up all you can from noteworthy educators. You may have a natural talent for floral design, but chances are, you do not know the rules or the elements and principles. You need to learn these and commit them to memory so that eventually you can expand on them, or even in some cases, break the rules, and be able to defend why you did it. Be a floral designer for the day! Join Brian for the Chihuly Community Bloom & Build on Saturday, April 28 from 2:00-5:00 pm. Brian, along with colleagues Ania Norwood AIFD,CCF, EMC Aniko Kovaks AIFD, Emc, Beata Kass Emc, and Jennifer Baker Emc will guide participants as they collaborate to create a large floral installation in reaction to the art of Dale Chihuly, on display in the Museum’s Derby Court. Tickets include the interactive workshop, wine and snacks. Please note space is limited. More about Brian: Brian Coovert CFD, Emc of Brian Coovert Floral Design in Columbus, Ohio, was raised in the rolling hills of southern Ohio where he fell in love with nature at an early age. He spent his childhood collecting flowers, leaves, rocks, branches and anything green. This turned into a life long passion and admiration for natures beauty. His designs and arrangements have been recognized nationally and published in leading publications such as Architectural Digest, Martha Stewart Weddings, Southern Living, Traditional Home, as well as, Hollywood feature films including including “Cold Mountain,” “The Notebook,” “The Legend of Bagger Vance.” In 2018 Coovert will be inducted into The American Institute of Floral Designers.